We round up the coolest paid-for and free fonts to be released this year to date. Like any design element, we all have our favourite fonts to fall back on. But you don’t want your work to get stale. So it’s good once in a while to check out the latest new fonts to hit the market. And while we all loving getting free fonts, if that’s all you look at, you’re certainly restricting your scope. So in this post, we gather together the best new fonts (paid-for and free) to grab our attention this year so far. We're sure you'll find a font that inspires you among them. If there’s one font that regularly attracts bad press from the design community, it's Comic Sans – even the artist whose work inspired it hates it. So it’s great news that type designer Jonathan Hoefler has come up with a more professional alternative, in the form of Inkwell, a font family based on handwritten designs. Suitable for both print and digital, Inkwell comes in a variety of styles: serif, sans, script, Blackletter, Tuscan and Open. It has a soft and friendly look, while retaining the character set, weight range and high technical quality of a professional typeface. It costs $399 (around £309) for the full package of 48 styles, each in six weights. Released in March this year by boutique font foundry Fontsmith, FS Irwin is a humanist sans-serif font that’s clean and highly legible. It was created by Fontsmith’s senior designer Fernando Mello, who says he was inspired by the cosmopolitan nature of New York, and more specifically the city’s subway font. FS Irwin is characterised by a sense of pureness and simplicity, while details in the lower case letters, such as the angled, chiselled spurs and their open terminals, add extra touches of visual interest to prevent it becoming too bland. Extensively tested and precisely drawn, this text-oriented font is extremely versatile, and Fontsmith suggests it could be used for both playful and serious designs. It's priced at £180 for the family of 12 fonts. In March this year Gilbert Baker – the artist and activist who designed the rainbow flag, a universal symbol of gay pride – sadly passed away. 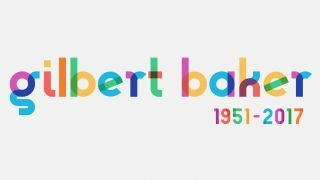 To honour him, Ogilvy teamed up with type foundry Fontself and LGBTQI organisations NewFest and NYC Pride to create a cool new font in tribute. Baker designed the iconic flag in 1978, and so the font takes its palette choices from both the flag itself and the hues of that era. Its creators hope that it will be used for rally and protest banners. Currently in preview in two versions (a standard vector font and a colour font in OpenType-SVG format), Gilbert is free to download from the Type with Pride site, along with accompanying artwork. The aim is to eventually develop it into a full font family, and you can keep an eye on progress towards this goal on this blog. Another font inspired by a legendary creative, Masqualero takes its name from a classic track by Miles Davis on the 1967 Sorcerer album. Designed by Jim Ford of Monotype’s in-house studio, the serif font offers an enticing mixture of sharp and rounded shapes that nicely mirror the contradictions within the jazz great’s music. With potential uses including publishing, mastheads, headlines, logos, packaging, signage, book covers and annual reports, this colourful and evocative typeface offers a great way to add a vibrant feel to your designs for £170/$199 for 14 fonts. Created by Dutch designer Jasper de Waard, Ricardo combines the clarity and visual simplicity of geometric type design with the friendliness and readability of a humanist approach. Ricardo is provided in three subfamilies: Ricardo, Ricardo Alt, and Ricardo Ita. The first is the most conventional, and thus the most suitable for longform body copy. The second has a more geometric feel, with simplified shapes for the a, j, u, and t. The third offers a slightly more off-kilter, cursive alternative to the standard italics. This lovely font is suitable for both body type and display text, such as in branding and marketing. It comes with 812 glyphs, supports more than 100 languages, and includes arrows and case-sensitive punctuation. The complete family package costs £142.99(around $185). Back in January, Mozilla released a striking new logo and branding for 2017. And more recently, it’s made the font used in its creation a free download for everyone to use. It was designed by Typotheque, which drew on its own slab serif font, Tesla, as the basis for its development. With smooth curves and true italics, Zilla Slab provides a business-like look and feel, as well as a high level of readability at all weights. The first free font to be provided by the Mozilla Foundation, Zilla Slab is also open source so you can contribute to its development on Github. If you’re creating designs that need to be translated into both Eastern and Western languages (or which combine different alphabets within the same design), you’ll be pleased to discover Noto Serif CJK, which was released in April. The result of a partnership between Google and Adobe, this font is designed to look consistent across Chinese, Japanese and and Korean (CJK) characters as well as the English, Cyrillic and Greek alphabets. It’s free to download from Google Fonts, Github or Adobe Typekit, where it’s titled Source Han Serif. Noto Serif CJK serves as a companion font to Noto Sans CJK (aka Source Han Sans), a sans serif released in 2014 that also maintains its style across CJK scripts.